Did you know that the US beauty industry is one of the least regulated industries and has not changed regulation policies since 1938? What this means is companies can manufacture beauty products with very little government oversight and state product claims such as “natural” “clean” or “green” with no set definition or standards adhere to. As a professional esthetician for over 30 years, I advise my clients on how to maintain healthy skin for a lifetime, and it breaks my heart to know how mislead we all are when it comes to the skin care products we use. We live in a world full of environmental impurities and our skin, (the largest organ) is exposed to these impurities daily which affects our health. 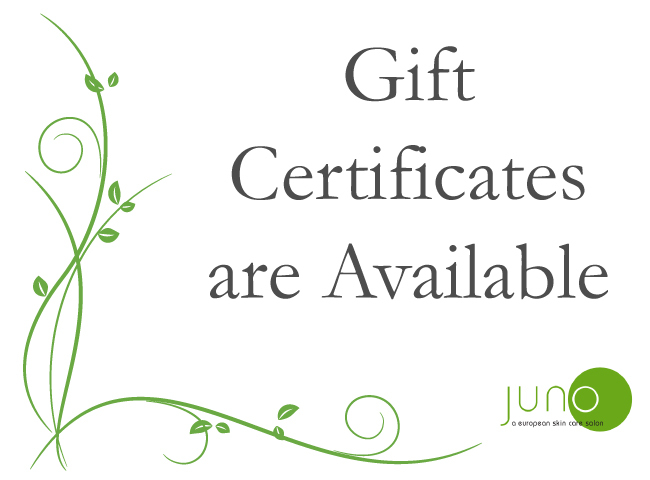 Our mission at Juno is to help women and men of all ages understand what they are using and help them reduce the unnecessary toxins in their skin care products so they can protect their skin and live a long, healthy, beautiful life. In effort to uphold our mission, we thoroughly investigate the products we carry and search for clean options that focus on safety and avoid the use of ingredients such as: parabens, sulfates, silicones, phthalates and synthetic fragrances. With this in mind, we are pleased to announce that Juno now carries Bielenda Botanic Spa Rituals, a new line of European skin care; inspired by nature and the nurturing power of plants. The recipe is based on nutrients from oils, extracts, plant waters, hydrates and extracts. Bielenda Botanic Spa Rituals Turmeric + Chia and Indian Fig, clearly improve skin condition and have anti-wrinkle properties. They work in the care of the most demanding skin, especially dry, tired and skin devoid of radiance with enlarged pores or skin that is prone to irritation. The preparations contain 100% ingredients of natural origin, without parabens, silicones, PEG, artificial colors or paraffin oil. If you have questions or would like to learn more about Juno’s new Bielenda skin care line please give us a call or book your free skin analysis today. It is always a pleasure serving you at Juno.